The awardees will present their research at the College of Science awards ceremony at 3 p.m. in Stewart Center 214 at 3 p.m. on February 21, 2019. The inner ear processes information for both sound detection and balance using sensory hair cells. Once these physical parameters are detected by the inner ear, that information is transmitted to the brain by sensory neurons. Damage to either the hair cells or the neurons in the auditory or vestibular organs of the inner ear can result in hearing loss or balance disorders. Hearing aids and cochlear implants are the treatments of choice for improving hearing loss in human patients, although these treatments do not rescue hair cell loss. Treatments for vertigo or other balance disorders are even less effective. Shortly after birth in mammals, the loss of hair cells is permanent, as mature hair cells do not regenerate after damage. Adult birds, in contrast, can naturally regenerate new hair cells and normal hearing is restored. For these reasons, the search for permanent, biological-based therapies is ongoing. Over the past 20 years, my lab has used several different animal models to understand the molecular basis of sensory organ development, specification of cell types and patterns of innervation. It is our hope that basic science discoveries may identify candidate genes for potential biotherapeutics to treat hearing loss and balance disorders in human patients. A grand challenge in computer simulations of complex systems is the reliability of computer predictions. A priori error estimates, as provided, e.g., by the standard a priori error analysis for finite element, finite volume, or finite difference methods, are often insufficient since they only yield information on the asymptotic error behavior and require regularity of the solution which are usually not satisfied by complex systems. Self-adaptive numerical methods such as Adaptive Mesh Refinement (AMR) algorithms provide a powerful and automatic approach to scientific computing. The key ingredient for success of AMR algorithms is a posteriori error estimates that are able to accurately locate sources of global and local error in the current simulation. These considerations clearly show the need for an error estimator that can a posteriori be extracted from the computed numerical solution and the given data of the underlying problem. Such an error estimator is the so-called a posteriori error. The search for a particular new state of matter is one aspect of our work and the focus of this presentation. In 1928 Dirac reconciled quantum mechanics and special relativity in a set of coupled equations which became the cornerstone of quantum mechanics. Its main prediction that every elementary particle has a complex conjugate counterpart - an antiparticle - has been confirmed by numerous experiments. A decade later Majorana showed that Dirac’s equation for spin-1/2 particles can be modified to permit real wavefunctions. The complex conjugate of a real number is the number itself, which means that such particles are their own antiparticles. The most intriguing feature of Majorana particles is that in low dimensions they obey non-Abelian statistics (particles’ exchanges do not commute), the property at the heart of topologically protected quantum computing proposals. While the search for Majorana fermions among elementary particles continues, theory predicted that excitations sharing their properties may emerge in electronic systems in some composite semiconductor/superconductor materials. In 2012 our group was the first to report a signature of Majorana fermions. Experimental demonstration of non-Abelian statistics is proven to be a formidable experimental challenge, and is one of today’s most active research efforts. Dr. Fekete is a Professor in the Department of Biological Sciences at Purdue University with a Ph.D. in Anatomy from Harvard University. Her expertise in inner ear development was recognized by election as a Fellow of the American Association for the Advancement of Science. 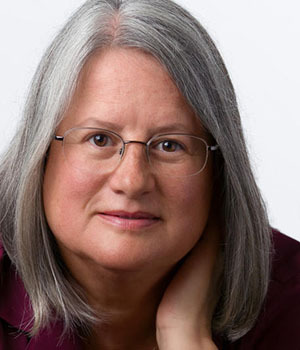 She is an advisor to the NIH for intramural research programs on hearing and deafness. Dr. Fekete is a council member for the Association for Research in Otolaryngology, serves on 3 journal editorial boards in neuroscience or developmental biology, and offers frequent commentaries on the scientific literature as a Faculty of 1000 member. She has three grants from the NIH, including a T32 institutional training grant for which she serves as the co-director. Dr. Fekete served from 2015-2018 as the inaugural director of the Purdue Institute for Integrative Neuroscience, and was named in 2017 as the John & Donna Krenicki Director. This Discovery Park institute coalesces over 130 faculty across multiple disciplines who seek to reveal the mysteries of the nervous system and battle its diseases and disorders. Under her leadership, the institute established new core research facilities, organized several neuroscience-themed symposia, enhanced scientific interactions across disciplines, started three new neuroscience graduate courses, including one on grant writing and initiated a Distinguished Lecturer series. Dr. Cai received his B.S. and M.S. 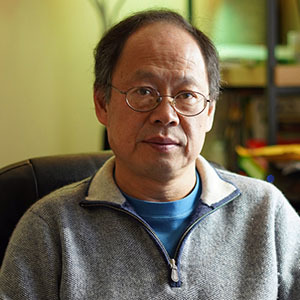 from Huazhong University of Science and Technology, China in the respective Computer Science and Applied Mathematics, and his Ph.D from University of Colorado in Applied Mathematics in 1990. He came to Purdue as an associate professor in 1996 after serving a postdoctoral fellow in the Brookhaven National Laboratory and the Courant Institute of New York University and an assistant professor in the University of Southern California. He has been a summer visiting faculty at the Lawrence Livermore National Laboratory since 2003. His research is on numerical solution of partial dierential equations with applications in fluid and solid mechanics. 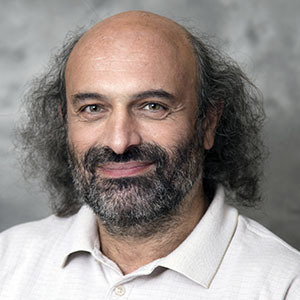 Lately, his primary interest is on accuracy control of computer simulations and self-adaptive numerical methods for complex systems. Professor Leonid Rokhinson is a condensed matter experimentalist working on various aspects of mesoscopic physics, including physics of semiconductors, superconductors and topological materials. He received undergraduate education at Polytechnical Institute in St. Petersburg, Russia, a Ph.D. degree from SUNY Stony Brook, and a postdoctoral training at Princeton University under supervision of a Nobel Prize winner Prof. Daniel Tsui. In 2002 Dr. Rokhinson joined Purdue University as an Assistant Professor at the Department of Physics and Astronomy, he is now a full Professor and holds a courtesy appointment at the Department of Electrical and Computer Engineering. Prof. Rokhinson is a recipient of a NSF CAREER Award and is a Fellow of American Physical Society.